As this winter surpasses the record for all-time snowfall, the Boston area has already endured one of the most difficult seasons in recorded history. 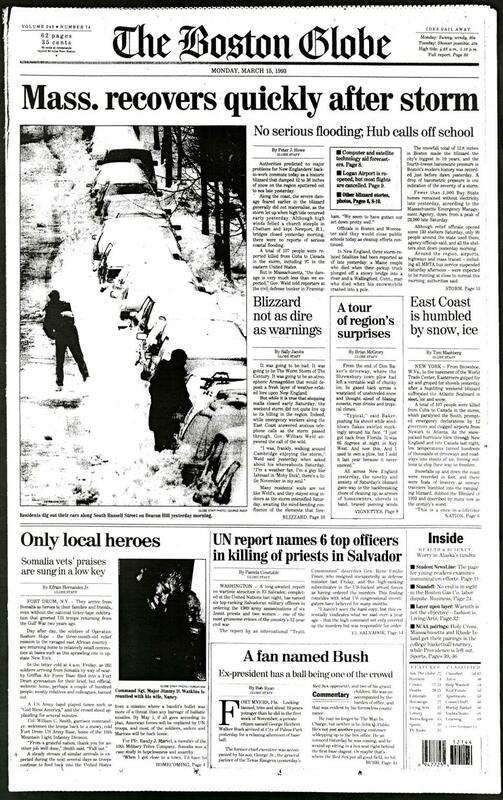 The Globe has been tracking storms and their fallout for many years, often on the front page. Sometimes, blizzards seem to magically transform the landscape into a playground where nobody has to work. Others are natural disasters that paralyze the region and imperil lives. Often, they’re simply a pain. For some perspective on what we’ve been through, here’s a look at coverage through the 10 snowiest seasons. Congratulations, Boston: We broke the record, but this year has been one of the most challenging winters of all time. A month-long series of major storms crippled the public transit system, narrowed roads, and slowed down nearly everything in the metropolitan area. 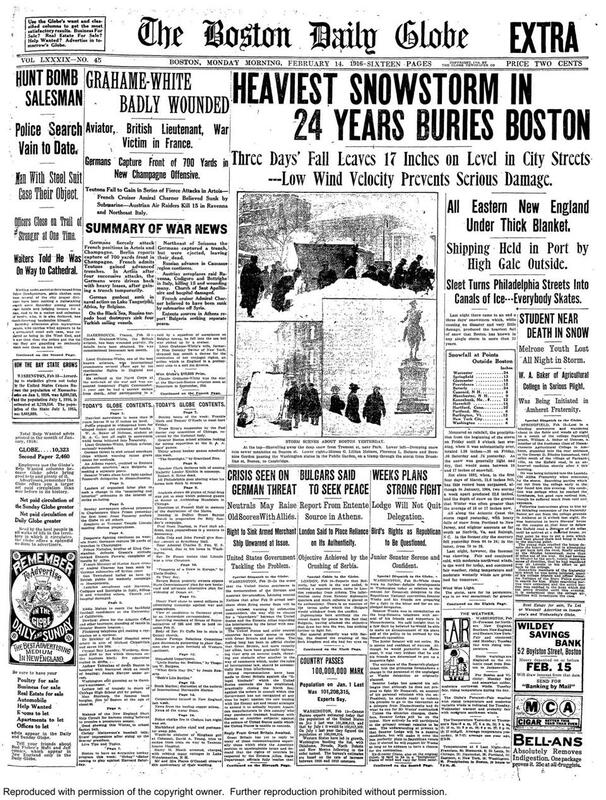 It had been a long winter by the time Boston set its record, and the Globe reported about the character of those who had kept the region safe. In 1994, the Globe was with the National Weather Service when they confirmed that the season had exceeded all others to date. In 1948, the response to the record was more circumspect, as coverage focused on the fallout from the latest storm. 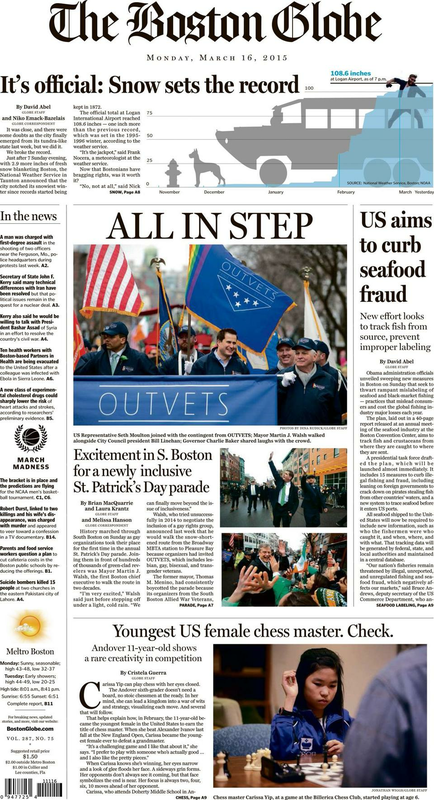 “One of the Winter’s worst snowstorms — 29th of the season — swept over New England yesterday and last night, snarling traffic on virtually all highways and carrying the total snowfall figure in Boston well over the previous high,” the Globe reported. It was a big season, but ‘04-’05 never held the overall record. 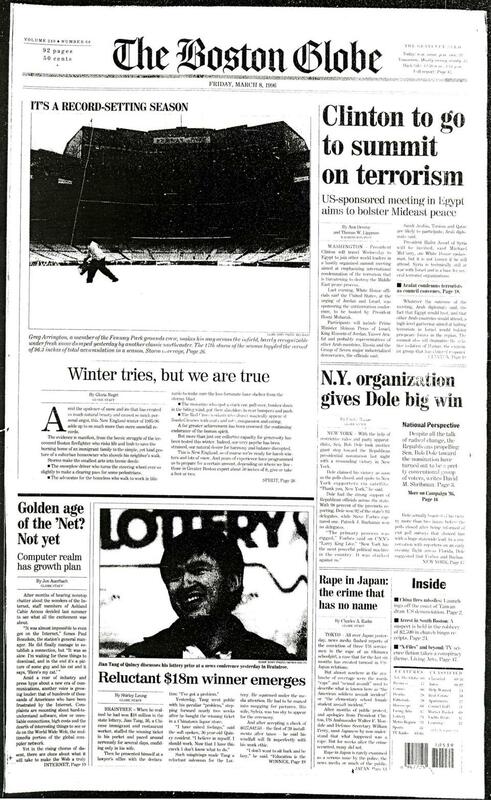 It did have a one-month snowfall landmark, though, and the Globe was there to commemorate it. 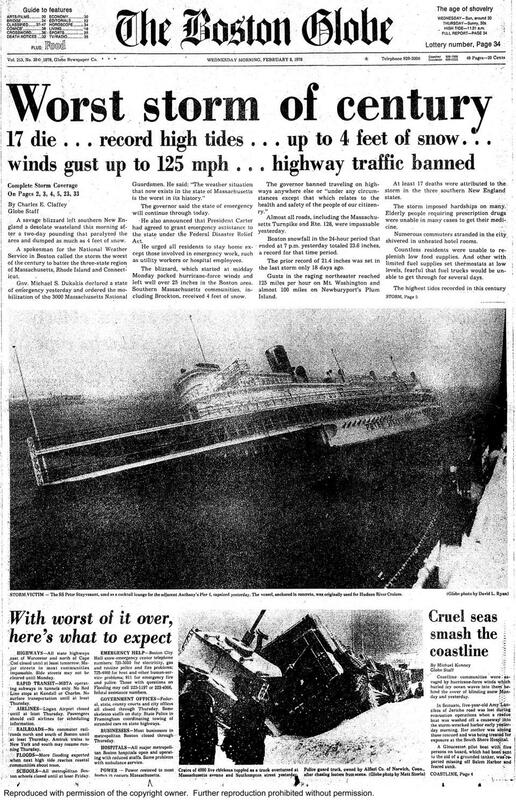 1978 featured one of the most violent storms of all time, and the morning Globe took stock of the landscape. 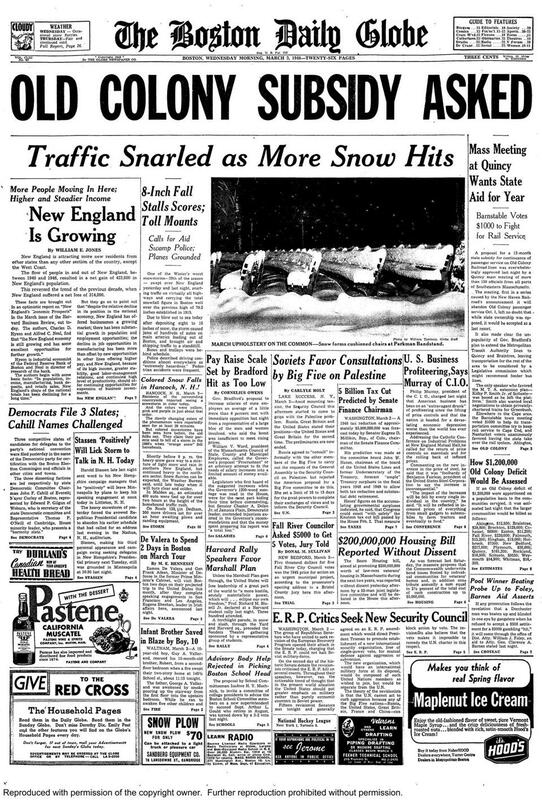 “A savage blizzard left southern New England a desolate wasteland this morning after a two-day pounding that paralyzed the area and dumped as much as 4 feet of snow,” the newspaper reported Feb. 8. 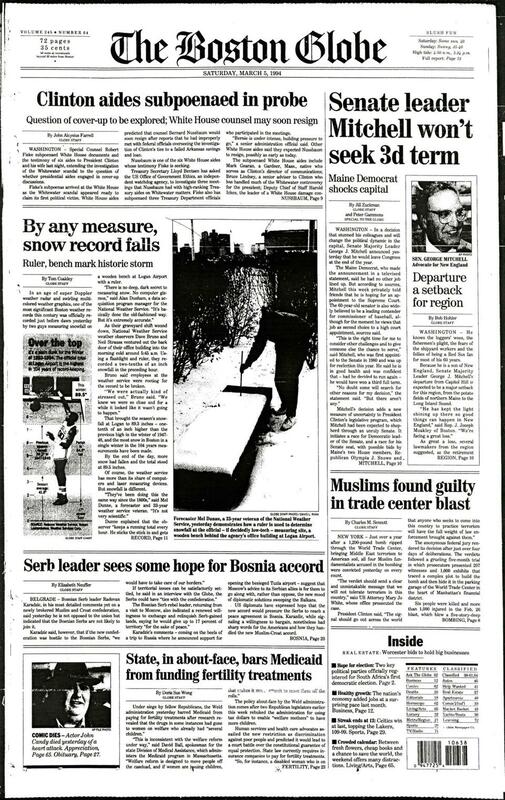 1993 featured some severe winter blasts, including a storm that dropped 12.8 inches. At the time it was Boston’s biggest in a decade. The March storm killed a total of 107 people from Canada to Cuba, but left Massachusetts with less damage than expected. The Globe took in the scene as the region cleaned up. 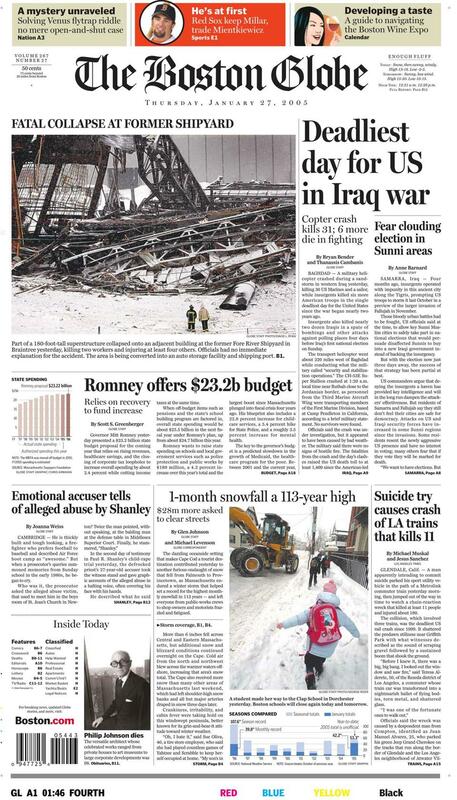 In 2011, as the region braced for a February storm, the Globe’s front page used an infographic to show how much snow was expected to fall. 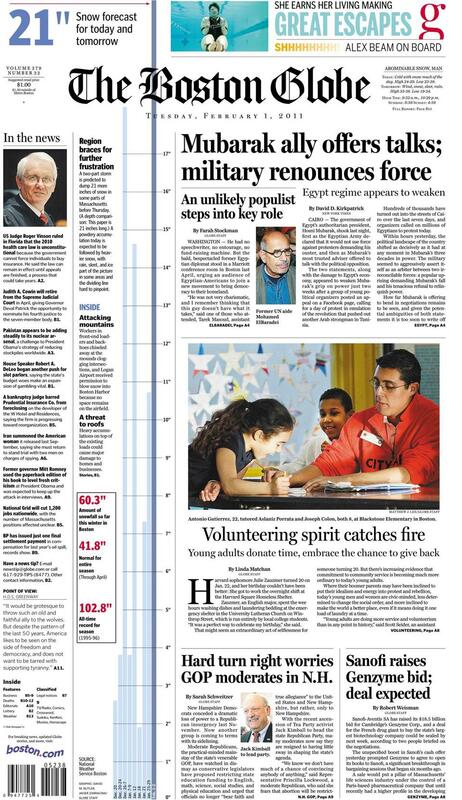 At 21 inches, it was nearly the height of the newspaper. 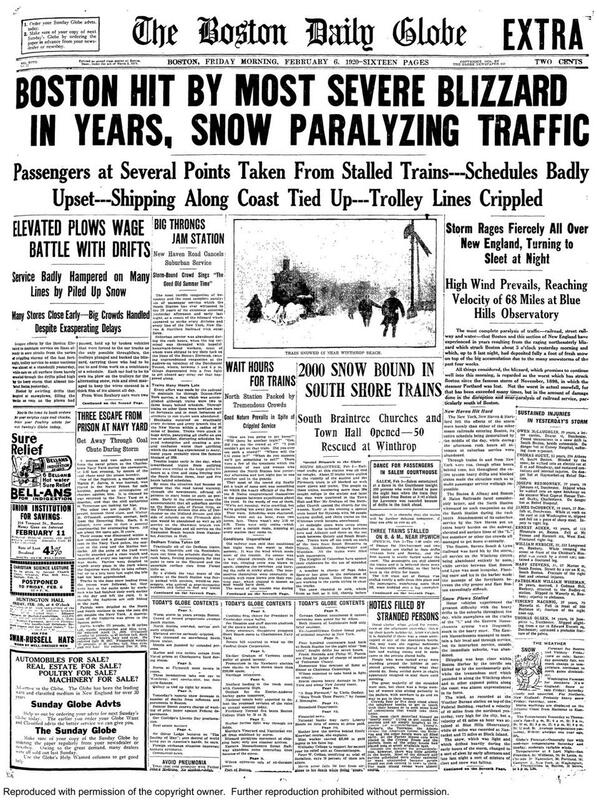 The Globe was full of snow news after a 1920 storm. Three prisoners escaped through a Navy Yard coal chute during the severe weather, and the paper even ran a list of people who had been hurt. Joseph Redmonsky, 27, of Dorchester, walked into a open hatch on a steamship docked in Charlestown, for instance. At press time, he was on the “danger list” at Relief Hospital.